When will the market for piping designers pick up? Poll: When will the market for piping designers pick up? 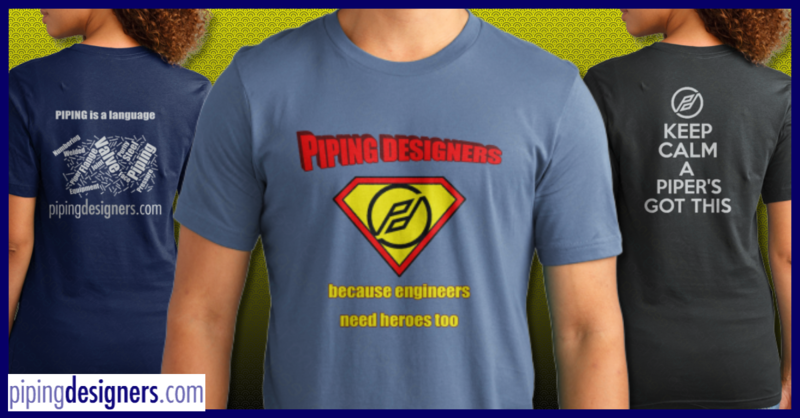 TOPIC: When will the market for piping designers pick up? There is a similar poll running on LinkedIn, so for the wider piping audience, I've copied the poll to here. It will be interesting to get your views, so please vote. I think it is started picking up already?? Many requirements for senior pipers now a days..! - First the unstable oil supply in the mid-east causes fuel prices to increase with every event that happens over there, a very real reality for US citizens in an economy that is stumbling along, not to mention the money we pay going into US unfriendly pockets! - The President is in political hot water here for NOT generating jobs here in the US for US citizens! The politicians point to green energy as the way, but the truth is green energy isn't even close to stepping in and taking control from oil energy! And making food (corn) into fuel is beyond stupid. Yes we can, but it doesn't mean we should! - The US hasn't built a new refinery here in the US for over 35 years! The owners of existing facilities have only put band-aids over any problems they've had. Oil & refining technology has progressed to keep the refinery operation efficient and clean. That requires refineries in the US to be completive in the world markets. That will require major new facilities through out the US! Piping design may not be shining right now, but as I see it, we are in the starting gate waiting for the starting whistle!!! I HOPE! - The US hasnâ€™t built a â€œnewâ€ refinery here in the US for over 35 years! The owners of existing facilities have only put â€œband-aidsâ€ over any problems theyâ€™ve had. Oil & refining technology has progressed to keep the refinery operation efficient and clean. That requires refineries in the US to be completive in the world markets. That will require major new facilities through out the US! Piping design may not be â€œshiningâ€ right now, but as I see it, we are in the starting gate waiting for the starting whistle!!! â€¦I HOPE! This is true. I worked as an operator for the better part of this year on 2 brand new units in a refinery in my area. They were an ULSD (or "clean diesel") and a hydrogen unit, built from the ground up, because the plant didnt have the capability of producing ULSD with their current equipment. It employed 250+ workers over the past 2 years to build. Plus however many more people off-site to design,draft,engineer, and oversee the project. Im not saying projects of this size happen everyday, but they are a boost. You know of ALL the answers/suggestions I have "inflected" on this forum, the one I posted here is my "BEST" ...Because EVERYTHING I stated is true, or becoming true! I read this morning that the U.S. is planning to increase oil production here in the U.S. to exceed the production levels in the Middle East by 2025! I've got afew more years to sink into this industry; it looks like it going to PAY! ...I'm a "happy camper" once again!!! 11echo - A true visionary!